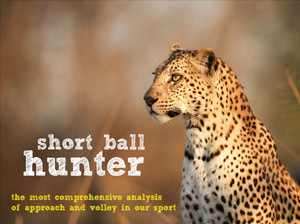 Doubles Numbers is the most comprehensive analysis of doubles the sport has ever seen. The data set is all recorded doubles matches from the second round onwards at the 2015 Australian Open. Doubles has suffered for too long with a lack of real data to interpret what the best patterns of play are. Not any more. Doubles Numbers clearly shows what aspects of the game deliver a winning percentage, and should be developed, and what areas are not nearly as good as you think. 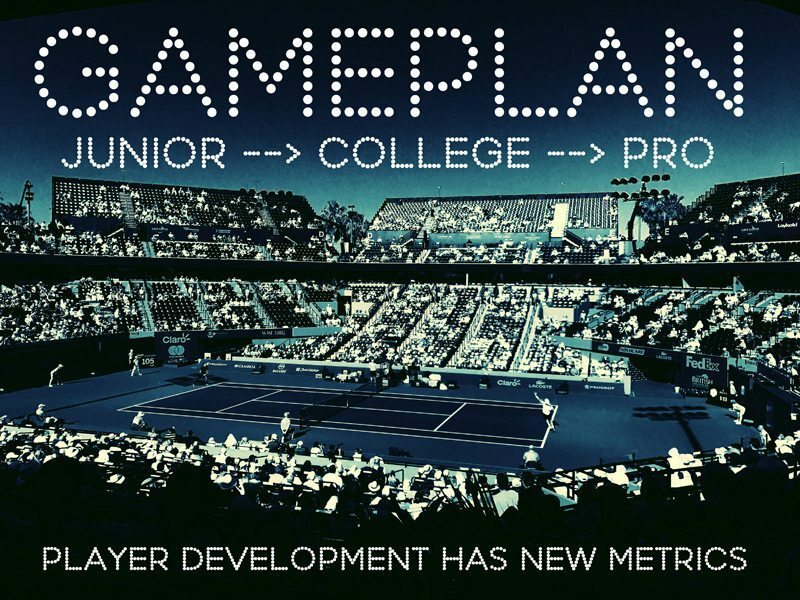 Since Craig has worked with players at all levels of tennis, from top 10 professionals to juniors, he knows exactly what you need to do to improve your game. All the lessons he teaches his students and coaches are available here for you at a fraction of the cost of in-person lessons. There is a lot happening on a doubles court in tennis. Situations and strategies are constantly being adjusted to create mismatches with court position. It's hard to keep track of - until now. 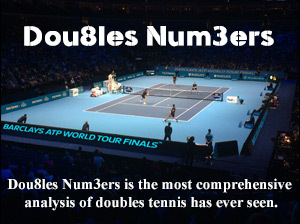 Doubles Numbers is the most comprehensive analysis of doubles data in tennis. The focus is on how a point ends, and it's broken down eight ways to Sunday. Winners rise to the #1 way a point ends (over forced & unforced errors). 0-4 shot rallies account for 81% of points for Men, and 69% for Women. The center window is the most important part of a doubles court to control. Doubles Numbers leaves no stone unturned. Percentage breakdowns of how often the server or receiver hits the last shot highlight the dramatic influence of the serve. The last shot of the rally is significant and is broken down into the following categories: volleys, overheads, passing shots, lobs, and groundstrokes. WINNERS – Compare the ratio of winners, forced errors and unforced errors from singles to doubles, for both men and women. What you will immediately notice is that winners amazingly surge to the top of the list. LAST SHOT – Where is the last shot hit on the court most in a doubles match? Is it more at the net, or more at the back of the court, and what is the winning percentage from both spots? NET v BASELINE – In an age where more players are staying back, see the clear numbers on the winning percentage from the front of the court versus the back. These are numbers that you simply must know. SERVING v RETURNING – Uncover unique numbers that show where points end in the first four shots – grouping together the first and third shots (serving team) against data from the second and fourth shots (returning team). The numbers are staggering. SERVER v RETURNER – See the specific numbers of how many times the serving team get to end the point versus the return team. This is unique data that will help you understand the doubles court on a much deeper level. NET – What is the winner to error ratio of finishing points at the net? This number really drives the need to move forward to finish points. BASELINE – More players are staying back to rally then ever before, but is it really that effective? VOLLEYS – Learn the different win percentages for the serving and returning team. One side of the court dominates the other when it comes to finishing the point at the net. OVERHEADS – Find out the massive win percentage when overheads are hit in doubles matches as the last shot of the rally. You may think twice before lobbing again. PASSINGS SHOTS – A lot of returning teams are staying back and trying to pass. Do the numbers validate the tactic? GROUNDSTROKES – Staying back and hitting groundstrokes is often preferred these days than getting to the net to volley. Here’s the numbers you have been looking for to understand the tactic. LOBS – Lobs are a great way to keep players off the net, but as the last shot of the rally, do they really make strategic sense? 3 TYPES OF RALLIES – Points are divided into 3 specific rally lengths: 0-4 shots; 5-9 shots and 10+. Know exactly where doubles sits for both men and women. You will quickly be changing how you practice, to win more matches. EXTENDED RALLIES – Why practice something that has almost no bearing on the final outcome. Learn how longer points that take up a small part of the singles game, basically evaporate in doubles. AVERAGE RALLY LENGTH – Stop speculating and guessing about rally length. See all the 2015 Australian Open doubles matches from the second round onwards. Know exact rally lengths, and build your game accordingly. 1ST SERVES – What exactly is the tour average, and how does it differ from singles? Can you make too many 1st serves? What happens when this drops too low? Answers to those questions and a whole lot more. 2ND SERVES – Does the win percentage rise or fall compared to singles? Is it as important in doubles as it is in singles? 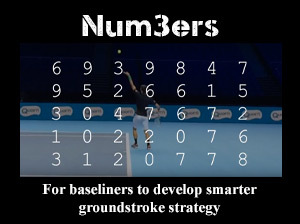 Dou8les Num3ers delivers key second serve data, that will help you clearly understand this key component. ACES & DOUBLE FAULTS – Do the totals go up in doubles, or down? You will learn the effects aces and double faults have in doubles, that is definitely different than singles. It will improve your serve mentality. UNRETURNED SERVES – Returning is a huge part of doubles – see what the ratio of unreturned serves are, and how that directly impacts the win/loss column. RETURN WINNERS – They matter in singles, and have an even bigger impact in doubles. FOREHANDS & BACKHANDS – With two players on the court, and a desire to finish forward at the net, forehands and backhands are used much differently in doubles than in singles. Craig O'Shannessy regularly speaks at tennis conferences & tournaments around the world as an expert analyst. 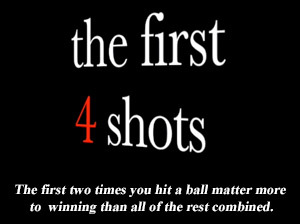 He created the Doubles Numbers product for players and coaches who want to more effectively improve their doubles game. As an ATP strategy coach, Craig has access to data that isn't available to the public. He uses this information to create these strategy products on Brain Game Tennis. 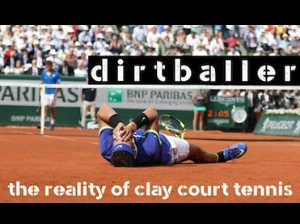 After discovering this groundbreaking tennis information you'll change the way you coach, play, and practice doubles! Craig’s advancements and organization of analytics helped my daughter reach the number 1 ranking in the US in both singles and doubles. Tennis players or coaches who take this course, see a transformation in the way they view and play doubles. You’ll start seeing the tennis court, and each point differently. More importantly, you’ll start practicing differently because you’ll actually know the right things to focus on. After that, you’ll start seeing significant improvement in your ability to play and coach doubles. 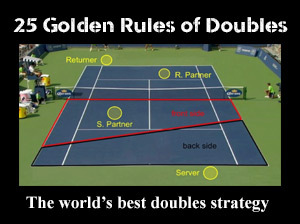 You’ll feel more confident about your doubles strategy going into each match, and start winning more doubles matches. You’ll even start beating more talented teams, since you’ll have a new strategic advantage. 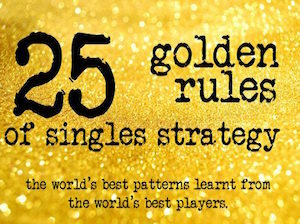 14 doubles lessons from the best tennis strategy analyst in the world. Lessons include both video & written form content. It is all backed by data that is only available here. Bonus interview with former Wimbledon Doubles Champion, Stephen Huss. Over 30 minutes of content. Lifetime access to the Double Numbers product. Free access to all future updates of Doubles Numbers.